Sanaya Irani is an Indian model-turned-television (tv) actress. Her first major role was in the Indian youth show Miley Jab Hum Tum. She subsequently appeared in Iss Pyaar Ko Kya Naam Doon?, Chhanchhan and Rangrasiya. 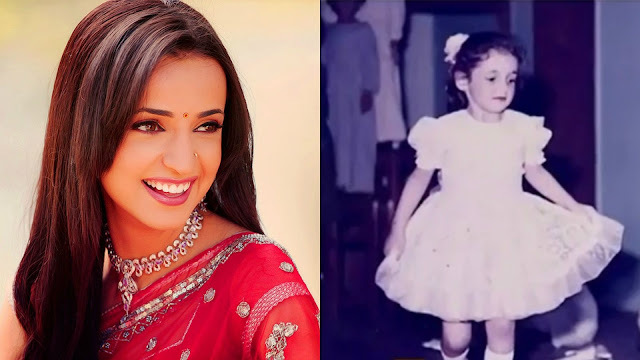 Sanaya Irani was born on September 17, 1983 in Mumbai, maharashtra, India into a Parsi family to parents father Jahangir Irani (dad) & mother. Sanaya Irani is the youngest in her siblings. Sanaya Irani have two siblings one elder sister Zara Irani & one elder brother Noshir Irani. Sanaya Irani spent seven years in a boarding school in Ooty. Following this, she graduated from Sydenham College and wanted to pursue an MBA degree but decided to become an actress. On 25 January 2016, Sanaya Irani married her long time boyfriend and costar from the serial Miley Jab Hum Tum , television (tv) actor Mohit Sehgal in Goa in a Punjabi wedding. Sanaya Irani started her career as a model. She made her acting debut with a cameo in the Yash Raj Films production Fanaa as Mehbooba (2006). Irani's first lead role was in STAR One's show Miley Jab Hum Tum (2008-2010), as Gunjan. After this, she portrayed Khushi Kumari Gupta Singh Raizada, the female protagonist of Iss Pyaar Ko Kya Naam Doon? (2011-2012). Sanaya Irani's portrayal of characters in Miley Jab Hum Tum and Iss Pyaar Ko Kya Naam Doon? made her one of the most well-known and admired Indian television actresses.